*** Note this event takes place in the Pulteneytown People's Project (PPP) ***Inside a replica of a Bedouin tent in the Pulteneytown People's Project, the audience sits on pillows and cushions. Around the top of the tent above a panoramic screen for projections, a starlit sky is visible. Be transported to an abandoned cottage on the Outer Hebrides. Brothers Jamie and Lewis Wardrop invite you to experience their installation performance with striking live visuals, electronic sound and the words of the great Highland poets. 16th March 2018 St John's Church Hall, Moray Street, Wick. Have you ever felt like learning a new skill? This is your opportunity to learn how to create a felted picture, approximately 6"X 8". Instrumental workshops for children of all ages, beginners upwards, with local musicians. Bring an instrument if you have one or borrow from the Feis on the day. 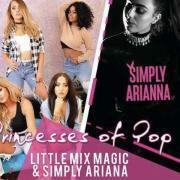 Meet the combined Princesses of Pop, Little Mix Magic and Simply Ariana! These all-singing, all-dancing girls will be performing all the top tunes for an excellent event of fun, singing and dancing. The show comes with a meet and greet where big and small kids alike can pose for a picture with the band and Ariana. 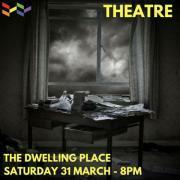 Weekend Drama festival featuring Thurso & Wick Players. 23rd and 24th February 2018. Come and Craft with others, bring a challenge or just something to work on. beginner crochet and knitting also available. Lyth Arts Centre have announced a family programme for Spring 2018, with some incredible shows coming to Caithness from some of Scotland's leading theatre companies, and international collaborations with companies from Jordan and Australia. All tickets to family shows are £6, meaning a family of 4 will be able to attend for just £24. Cosy beanbags, craft activities and free popcorn! 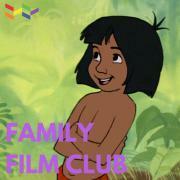 Bring the whole family along and to enjoy a FREE family film every month here at Lyth Arts Centre. The first Lyth Arts Centre Family Film Club will be on Sunday 25th February 2018 at 11am. The tale of an incredible journey, a world turned upside down, loss, friendship, courage and conkers. "When I was eight years old my dad set up a charity to help people fleeing danger in Bosnia. 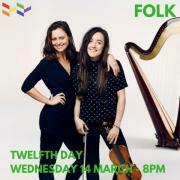 Twelfth Day is a folk duo of Orcadian fiddler Catriona Price and Peebles harpist Esther Swift. They are classically trained and mix folk, jazz and classical influences, blended with inspiration from their respective Highland and Lowland upbringings. 'I am all the daughters of my father's house, And all the brothers too.' 14th February 2018 - 7.00pm Twelfth Night is a tale of unrequited love - hilarious and heartbreaking. Twins are separated in a shipwreck, and forced to fend for themselves in a strange land. Scottish Guitar Virtuoso Andy Gunn brings his all new line up featuring the cream of Scottish Blues musicians on tour in support of brand new album ‘Too Many Guitars To Give Up Now'. Compared to Hendrix and Stevie Ray Vaughan in the press, Andy has absorbed these classic influences but also honed his own style and voice over the years by the old fashioned route of wood shedding and jamming in every bar and club the length of the UK. A curated exhibition from current and past members of the Society of Caithness Artists. 3rd February - 2nd March 2018 Swanson Gallery, Thurso. 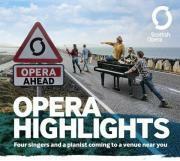 Four singers and a pianist perform a selection of operatic highlights ranging from Rossini to Gilbert & Sullivan. Ross Institute, Halkirk. Creative Scotland has awarded Regional Screen Scotland a second round of Regular Funding, for the period April 2018 to March 2021. Over that three year period, Creative Scotland intends to provide a total grant of £620,350 to RSS.